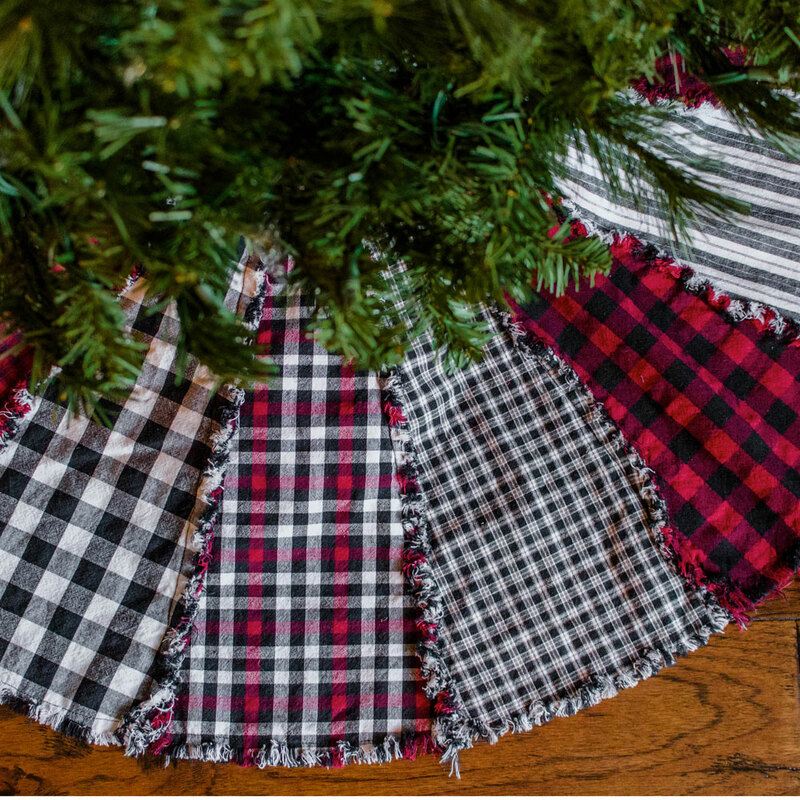 Jubilee Fabric offers a very unique Christmas tree skirt made from 100% cotton homespun fabric. 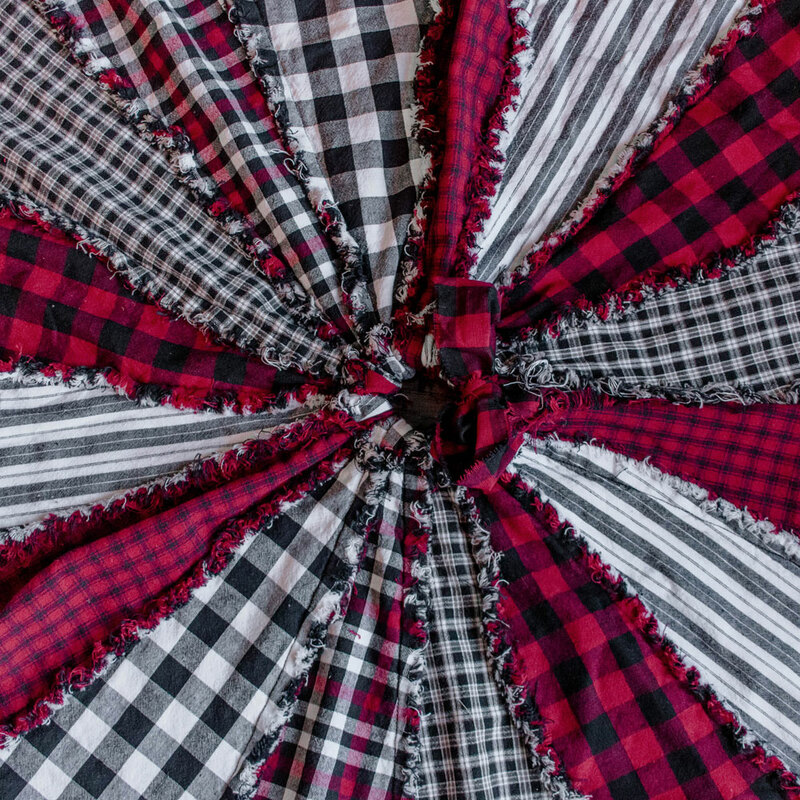 This primitive homespun Christmas tree skirt was made from 16 different homespun fabrics. 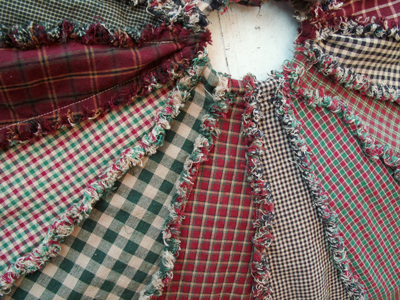 All edges and seams have been frayed and ragged. 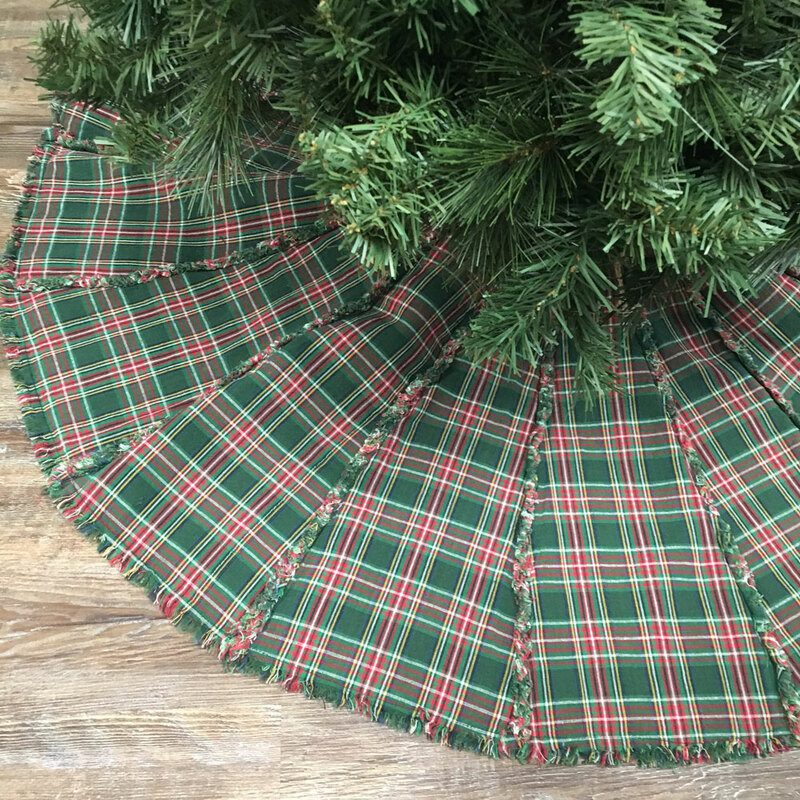 Jubilee Fabric offers a variety of finished tree skirts from JubileeHomestyle.com and patterns & kits from JubileeFabric.com. 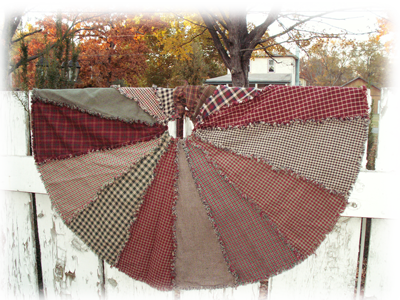 The skirt has 16 panels and measures approximately 44" across. The opening in the center is gathered with a tie so it can be drawn up to fit the size of your tree. 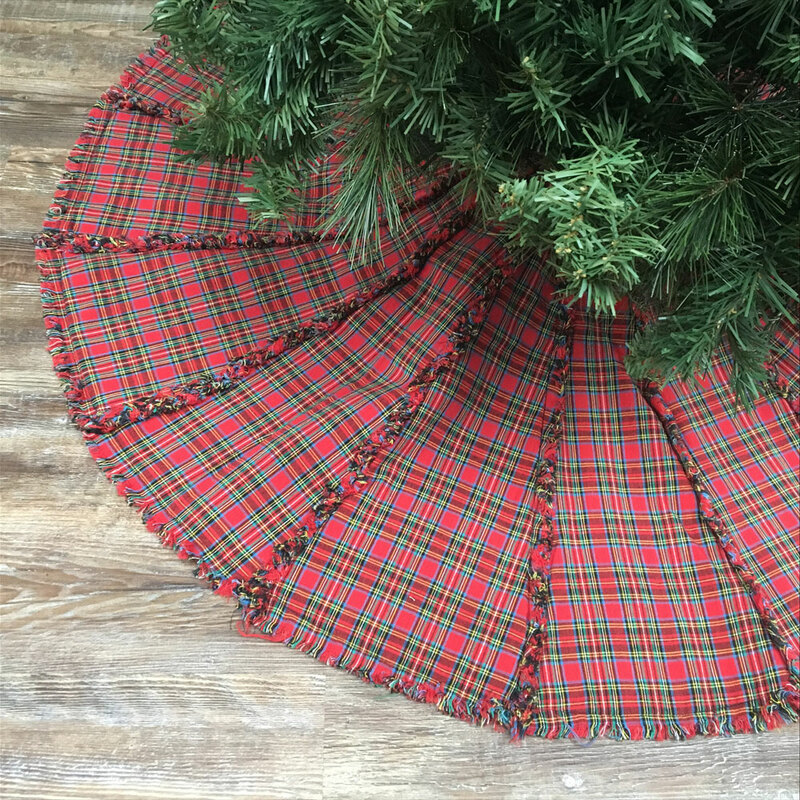 Any Christmas tree skirt pattern can be rag stitched by exposing the seams and then clipping and ragging them.